Spotting at Bradley International Airport in Windsor Locks, CT. Bradley serves the Hartford, CT and Springfield, MA region. It is the largest airport in Connecticut and the second busiest in all New England. 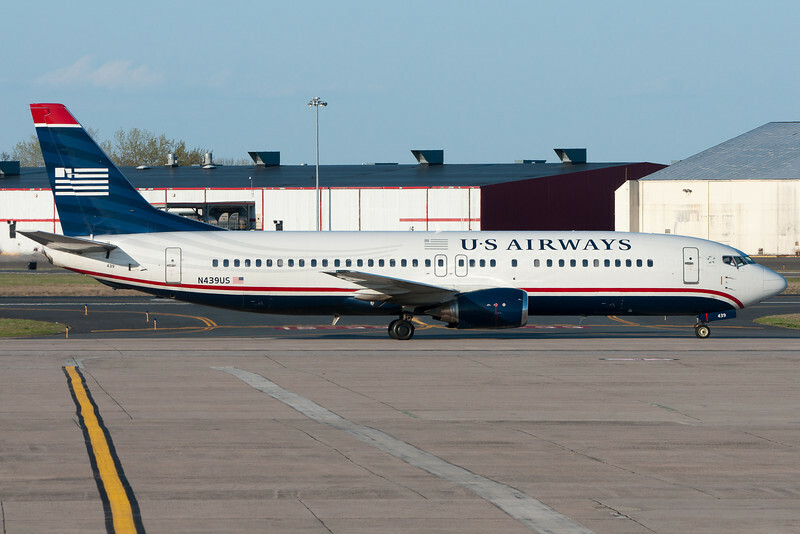 A US Airways 737 is about to pull into its Terminal A gate.